It’s around 1:42 on Tuesday here at Impact 2011, and I’ve not left the Venetian Biosphere since I arrived here on Sunday. Scott and I have continued to do our live webcasts from the expo floor. You can find both the live and Memorex sessions at www.livestream.com/ibmimpact (and feel free to stop by…just look for the big, bright light in the corner). I blogged the general session featuring IBM Senior Vice President Steve Mills’ comments on business agility from earlier today. You can find that post here. I’ve also attended some sessions of the Forbes Leadership Summit, a few thoughts from which I thought would be worth sharing here. In a session yesterday, Rich Karlgaard, the publisher of Forbes magazine, set up the Summit with some comments about the state of the economy…such as it is. Karlgaard explained that the economic recovery has been uneven and rocky at best, and that the last three years in particular were so traumatizing, it’s impossible to do a forecast, as we have no faith in the underlying economy. We are, collectively, suffering from Post Traumatic (Economic) Stress Syndrome. Nice one. It’s like a roller coaster ride. A few months ago, GDP projection was 2%. Then most everyone had a good Christmas and the stock market grew, and so forecasts went up to 3.5% GDP growth for Q1. Then, Tunisia…Egypt…Libya…Japan earthquake and tsunami…gas went up….well, stuff happened. So, the recovery is very uneven, which means…you guessed it: The companies with the right technology investments or business processes will do much better than GDP (5%…maybe 10%), and those who don’t…well, they’ll likely do much worse. This is the nature of recoveries that follow big, traumatic economic events (Just glance back to the 1970s: Nixon resigning, oil crisis, Carter’s malaise speech). And yet, the 1970s produced (other than disco) Federal Express, Southwest Airlines, Apple Computer, even Microsoft…so though economists may have looked upon the 70s as poor economically, it saw a lot of business growth, and in particular those who were new and innovative. It was then that Karlgaard launched into the meat of his pitch: Eight key focus areas of companies which will best adapt to this new economic environment. Speed (Table stakes). Fast go to market, with the perfect products at the perfect time when customers need them. Get to those customers willing to pay the most first! Supply chain and logistics. Every great leader in its field is generally the supply chain leader (Sam Walton, Wal-Mart, by way of example). Wal-Mart was the first to figure out the power of linking information from bar code back to IBM mainframes, which gave them enormous competitive advantage early on. Analytics. Just Google “IBM Business Analytics” to learn more about this one. External and Internal Communications. 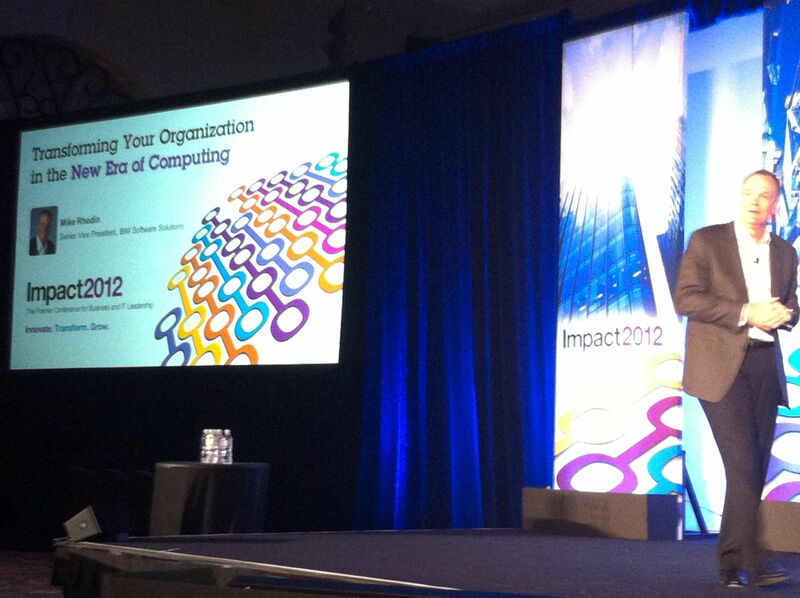 He used an example of ex-IBMers use of Facebook as a powerful advocate community. Brand — Particularly, three dimensional brands (phony ones are easily exposed in the social media). 2D brands could only be gotten away with in the Mad Men era. Foundation of Moral Purpose — The trust level have with institutions is at an all-time low. Companies that have solid foundations also have unsurpassed advantages.